Khaled Nasser Abdullah Al-Roudhan, Minister of Commerce and Industry and Minister of State for Youth Affairs, and his team have made significant positive changes in Kuwait in the past few months that have changed the market for the youth. Thanks to their hard work and legislative changes, Kuwaiti youth are now much more active in Kuwait, continuing to innovate in fields such as technology and food and beverage. Today I am just answering the two most common questions I got this week with regards to commercial activity. Question: There is news that there is a new food truck law – can you please verify and explain to us the law? * The owner and manager must be Kuwaiti. * Number of trucks is limited: Each company can have only one truck. * Maximum number of non-Kuwaiti employees is two. There are no limitations on the number of Kuwaiti employees if they are registered under the license of the company. * Each truck has its specific location, to be identified using GPS. * The validity of the term of the commercial license is four years. * The license is not just for food, but other activities such as crafts, printing and copying, groceries, electronics repair, gift wrapping, etc. Question: I am finding it very difficult to make amendments to my already existing company. I want a new partner to join my company. This is very complicated and I cannot seem to find any information online. Can you please provide us with information on this topic? Fajer: I know that with all the positive changes with new legislations, there are still other places within the government that still have space for improvement. I have compiled information on how to amend a company’s articles of association in a very general manner. I hope it is useful. 1. Filling in a form (amending request) available on Ministry of Commerce and Industry’s (MoCI) website. 2. A copy of the civil ID of the current CEO. 3. A copy of the company’s license. 4. If the new CEO is a Kuwaiti citizen: A certificate from the Public Institute for Social Security stating that the new CEO is currently not working in the public sector. 5. If the new CEO is non-Kuwaiti, his visa should be with the same company. 1. Filling in a form (amending request) available on the Ministry of Commerce and Industry’s (MoCI) website. 2. A copy of the valid license of the company. 3. Copies of partners’ civil IDs. 4. A certificate from the Public Institute for Social Security stating that there are no pending fees for the company. 5. Rental agreement and rental receipt. 3. Copies of partners’ civil IDs and of the CEO. 4. Rental agreement and rental receipt of the new address. 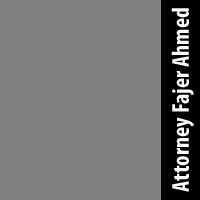 Should you have any questions or concerns, or you require a consultation, please email me at ask@fajerthelawyer.com.